In my experience this can come about through honest introspection, psychological self-help or counseling, and through our spiritual practices--the ultimate healing! However, if we really understand (at least in principle) that we are eternal souls, the most important thing is to have a process for change which purifies our existence and awakens our real, spiritual nature. Being a balanced human being or we could say, being in goodness (sattva-guna), is helpful in our spiritual and material life. However, if we have balance, but no higher consciousness, there is little benefit spiritually. Why? The reason is because the soul is who we are eternally—we don’t have a soul, we are the soul. Ultimate benefit comes from being raised to spiritual awareness. Other benefits are lost with the demise of the body. Our spiritual consciousness is reflected through our material mind and personality. Ideally our mind and nature can be favorable for our spiritual life. I have seen practically that most of the struggles in spiritual practitioners come from their conditioning in the shape of unhealthy mind sets, and conditioned ways of seeing and acting. Therefore, being a balanced human being in the service of our spirituality is a laudable goal, as long as we don’t consider it an end in itself. And frankly, it is doubtful anyone in this age can be completely balanced anyway! The point is to do what is favorable for our spiritual growth. That is far different then having a spiritual life only to augment our material desires or to think that being a “self actualized” person with no understanding of the self is valuable in and of itself. Some devotees of Krishna would say we don’t require anything for our life other than our sadhana or spiritual life, and that any type of psychological counseling or using material methods shows a lack of faith in Krishna consciousness. I might have said the same thing in my early days as a devotee, so I understand this well meaning perspective. I can only share my experience and understanding of the application of Krishna conscious principles and ideals. 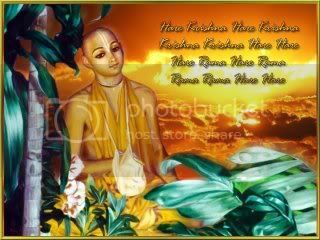 If we chant Hare Krishna purely and have no severe mental, karmic baggage I would say that yes, all we need is our sadhana. However, we see devotees who come to Krishna with severe problems that need to be addressed beyond the scope of sadhana. Sometimes after years of practice they feel they have blocks to their spiritual growth, but are unaware of exactly what they are, and so they don't change, and their spiritual progress appears to be stalled. Spiritual practice is the ultimate solution or healing, yet some devotees need additional help and support. Any method we find that uncovers our problematic ways of dealing with our self, others, or the world is welcome and can be seen as coming from Krishna. Krishna consciousness is very practical. 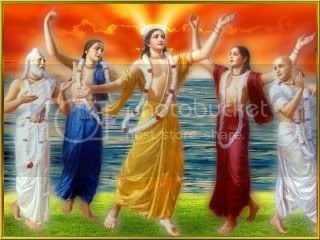 Anything used in the service of Krishna becomes spiritualized and thus part of spiritual life. We have to evaluate any process by seeing the results. Although having no engagement other than self realization is certainly a goal to be emphasized, I have seen much harm done by neglecting the care of our body and mind in the name of spiritual advancement. A big part of our spiritual progress comes from knowing the level of our spiritual interest/eligibility (and material dysfunction) and molding our life accordingly. Thus we should be holistic and balanced in our approach to life with an emphasis on spiritual understanding. Since my wife is a professional counselor, and I have experienced the practical benefits that therapy can provide, I have my personal bias. Everyone does, and it can be helpful to understand this when hearing someone speak or reading what they write! In addition I have more confirmation by seeing how many individual devotees and couples have been helped through the introspection that speaking with a trained devotee therapist can provide. We also need trained lay therapists or temple leaders who can determine if someone requires professional help and/or revived sadhana or spiritual practices. Often in counseling devotees in distress my wife finds they are negligent in their spiritual practices. Taking refuge in Krishna provides us our shelter and will help us improve our life, whether we require professional counseling or not. Association with saints is very powerful for our spiritual growth. 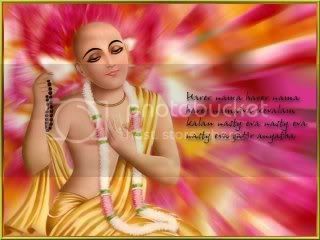 The criterion of success is what works or helps us to be peaceful, fulfilled and more dedicated to sadhana and our service to our gurus, Krishna, the Vaishnava devotees, and people in general. This kind of success is a powerful personal testimony which is stronger then the beliefs or strong assertion of others about what “should” be. This is actually a big topic, yet I bring it forward as food for thought. It is based on my wife and my personal experience in dealing with devotees for many years. One point I am making is that we must do what works to support our life, long-term, with the intention of having everything work toward our spiritual progress. Our highest spiritual ideal is who we will some day become!